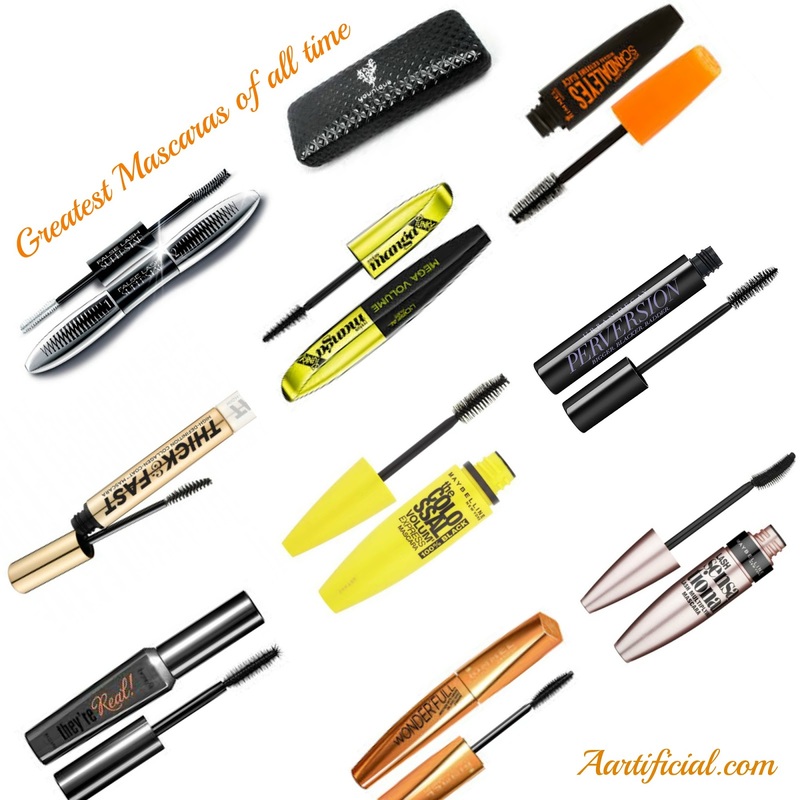 Are you a mascara junkie like me? All it takes is for me to see some fabulous lashes in an advert and be sold and need the product in my collection with hopes of recreating the look for myself. Well due to my obsession I have made quite a collection for myself and wanted to give a run down of some of my top mascaras. 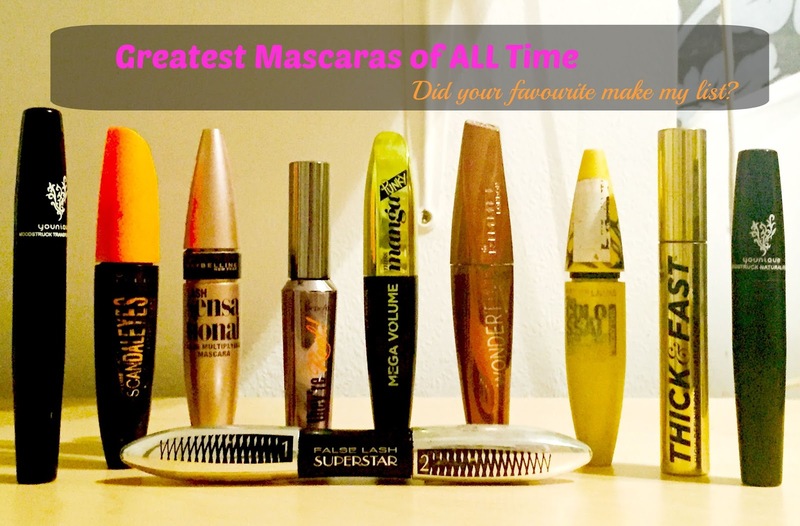 Gone are the days when you have to reach deep inside your purses and purchase high end, designer mascaras because I have found drugstore brands are up there competing with the pricey brands and making long, voluminous lashes something we can all have on a budget. Everyone and their mum have heard about the power of this black liquid and wand. This has to be one of my favourite mascaras of ALL time and is so reasonably priced! Let’s hope Maybelline NEVER discountiue this God Send of a product. I actually got this on whim. I remember sometime last year I was doing my usual splurge shop in Superdrug and the lady behind the counter asked me if I wanted to try out this new mascara while it had an introductory offer. The smart side of me said “Don’t do it Aarti, You have enough” but the Beauty Addict in me was like “Argan Oil? In a mascara? How amazing!” and it made it’s way home with me. What a great decision because I have fallen in love with this. It’s perfect for day to day wear. When you want to look somewhat put together but not over the top. My name for this mascara is actually “The JLO One”. The moment I saw Jennifer Lopez on the advert I knew this was for me. At first I was a little put off by the mascara because of the whole white primer thing (anyone else have had experiences with it in High School?) but I actually LOVE this. It makes my eyelashes incredibaly long! So I was such a newbie to Soap & Glory make up before last Christmas. But while Sale shopping I saw an offer in Boots on all Soap & Glory cosmetics so I thought I’d give it a try. I picked this up with The Archery Brow Pencil & Supercat Liquid Eyeliner and found this was such a hidden gem! I’ve written a post on my Soap & Glory buys so read more details here. I’m a sucker for Beauty Guru recommendations and as soon as I heard my favourite Youtube Beauty Guru, Kaushal Beauty, rave about how amazing this was I went out and picked it up for myself. Just like her, I think this works so well alongside Maybelline Lash Sensational. This is an oldie but a goodie. I’ve repurchased this mascara a couple of times (which is rare for me because I love finding new products) but this one seems to do the job and is so well priced! I was recommended this Mascara by my cousin who has amazing lashes herself so it was a no brainer. This is one of them rare mascaras that work wonders on their own! Just a couple of coats of this and you’re good to go. This.Mascara.Is.Like.Magic. Can someone explain how this actually works for me? How can this have such a HUGE impact on my eyelashes after only one layer? I’m going to do a whole blog post on this magical mascara but I couldn't write about my top mascaras without giving it a mention. As one of the few high end mascaras on the list, this is a CULT BEAUTY Product so you knew I had to include it! This mascara is amazing at creating full lashes and adding tons of volume. I’m yet to try the Benefit – Roller Lash mascara (yes I know I’m late) but once I get my hands on it I’m sure I’ll be a huge fan .. If the reviews so far are anything to go by. Lastly and most definitely not least is this little beaut. I first purchased this a couple of years ago while I was at university. I remember there being an offer on UD products and as it was while I was going through my coloured eyeliner craze you knew I picked up a couple eye pencils and threw this bad boy in the bag too. 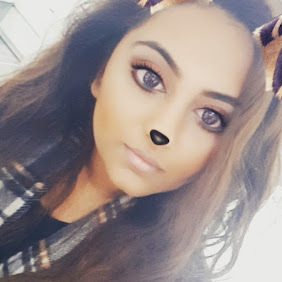 Wasn’t until one day I actually made effort at university and wacked this mascara on..Let’s just say I have never received so many compliments on my eye make up as I did due to this gem. And there you have it. My round up of some of my favourite Masacras. Did your favourite make the list? If not, let me know what it is below and I’d love to give it a try. I know this was a bit of a length post but let me know if you enjoy these or want me to keep them short and to the point?